I like to shop. I also like to collect beauty products. Those two facts alone pretty much guarantee I will have some sort of new product love each month. This month I shopped my stash a bit and gave some love to products that were sitting on the shelf collecting dust. First up is the super hyped Pixi Glow Tonic. When I first tried this I didn't get the hype and stopped using it. I recently felt an urge to use this again and it is when I started using it consistently that I noticed results. I'm particularly happy that it helps get rid of dry patches on my face, which means my foundation looks better when applied, and throughout the day. 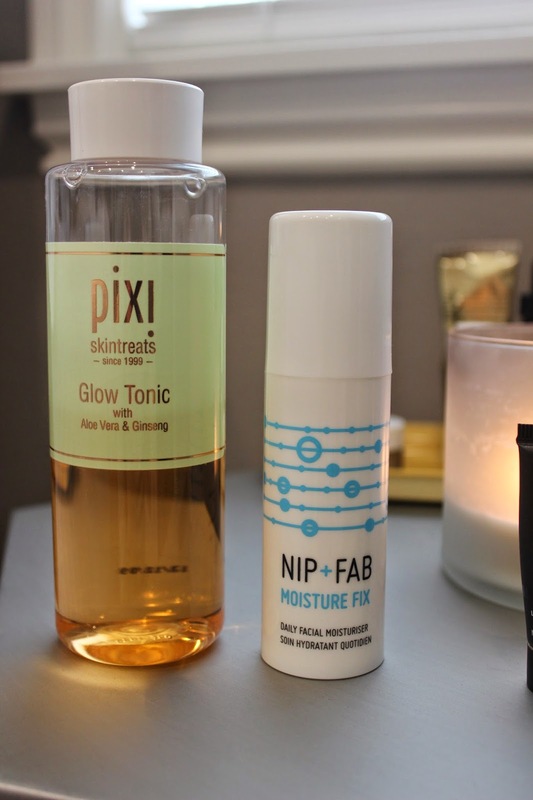 Another skin favorite this month is the Nip + Fab Moisture Fix. I've been loyal to La Roche Posay Toleraine for some time.... but this Nip + Fab moisturizer is better. The cons: strong natural scent and a lot of natural ingredients (which can sometimes be problematic). The pros: gives me the moisture my skin needs and dries to the touch almost instantly after applied and it's cheaper. I told myself I was going to attempt to use up my primer sample stash and the first one I reached for was the Nars Light Optimizing Primer. It was love at first use. The stark white color quickly and seamlessly blends into the skin and all you are left with is skin that actually feels like skin. No pesky layer of film on the skin and not tacky to the touch. My foundation applies nicely and actually does last a long time. If I put makeup on around 8am, it stays in place until late afternoon. 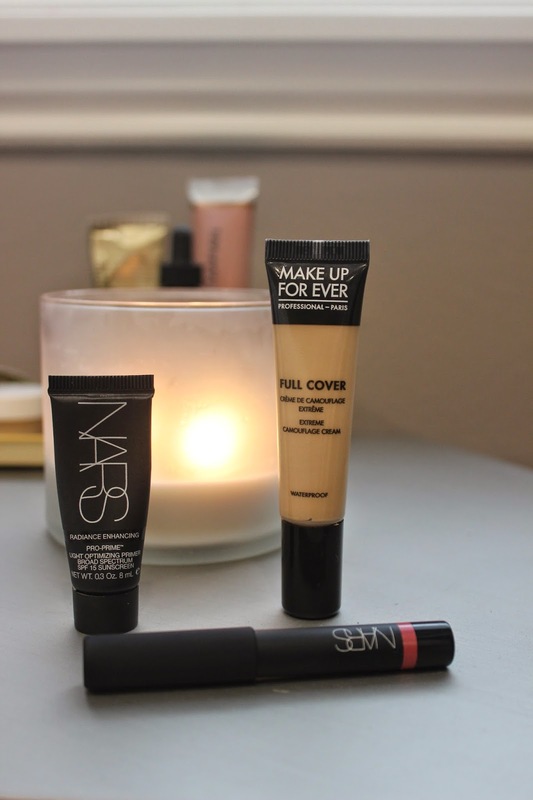 Also from Nars, this month I loved using the Nars Velvet Gloss Lip Pencil in New Lover. One day when I couldn't decide what lip color to wear, I reached into my lip container and picked one at random. I put it on and thought why haven't I been wearing this more? It is summer in lipstick form. A really great, and easy to wear, pinky-peach with a hint of shimmer. The only new product this month that completely caught my attention is the Makeup Forever Full Cover Concealer. I've talked about it before on here so I won't go on but I absolutely love this because it almost completely covers the scar and redness on my nose. Thanks for the comment. I'd love to trade places with you. I dream of London all the time. Wish I could work there!